While we still have areas of need in Massachusetts, many shelters are no longer overcrowded and struggling to deal with the overpopulation crisis. Thanks to widespread efforts in our state – by expanding TNR, providing more low cost spay / neuter clinics and facilitating networking among trappers, rescue groups and shelters, we have started to gain the upper paw. Many shelters and rescues are in the enviable position of having space – space to accommodate more cats than need shelter from their service areas and have begun to take in “out of area” cats, including out-of-state transports; space to think creatively about placing “difficult” cats we would never have imagined being able to adopt out before – and space to focus on working with the public to keep cats in their homes. Together we’ll explore these approaches and share information about resources that are available to us for helping even more cats. 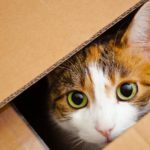 · Discussion of why and when they began to import cats. · Issues they’ve had along the way (logistics, medical concerns). · How their shelter population has been impacted (positives and negatives) as a result. · How their adoption rates/trends have been impacted. · Types of animals they do/don’t import. · What protocols they use (for transport itself, for medical care before transport). · How has their community/donors responded? · Are the animals branded/marketed differently? How do people respond? Click here to see the video on proper transport for cats provided by Sheryl Blancato, Executive Director Second Chance Animal Shelter. If you are thinking of doing cat transports, here is some food for thought as you watch the video. Think about yourself in the cat’s position. If you were put into a car, no idea how long you would be in there, when you would get food, water, or a bathroom, and there were lots of other people in the car – would you be stressed? Here is a protocol to help eliminate the stress that cats feel and better transport them with comfort. The video, funded by Maddie’s Fund, will show you a simple and effective way to transport cats and reduce their stress. Stress in cats can easily translate into upper respiratory so this will help to reduce that risk. Speaker: Rachel Geller, Ed. D.
Dr. Rachel S. Geller, Ed.D. is the vice president of the Gifford Cat Shelter. Previously, she served on the Board of Directors for three years, and prior to that was involved with the shelter as an ardent supporter. Rachel is also on the Board of Directors of the Marcus Maurice Foundation, which provides care and comfort for homeless and abused cats. Rachel is a Certified Humane Education Specialist through the Humane Society of the United States, and is a member of the Academy of Prosocial Learning. In addition, she is a contributing author/editor of the publication, “B’nai Mitzvot: An Ark Project.” The Ark Project workbook implements a service-learning project focused on animal welfare for students preparing for their bar/bat mitzvahs. Rachel is also part of the Faith Outreach team of the HSUS. She participated as a panelist in HSUS’s Cat Behavior and Retention Course and serves as a cat behavior counselor for Gifford as well as the community. Rachel also created and led a nationwide webinar for the Association of Professional Educators (of which she is a member) entitled Activities For Inclusion.